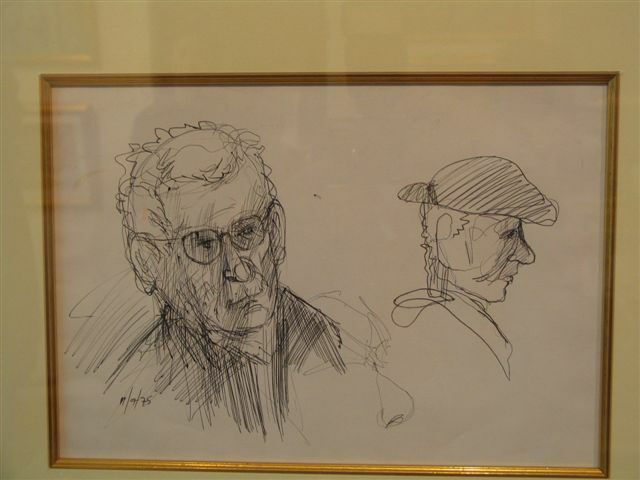 Isherwood’s greatest hero was his fellow painter L S Lowry. He made it his business to find out where Lowry was appearing and then appeared in the audience. 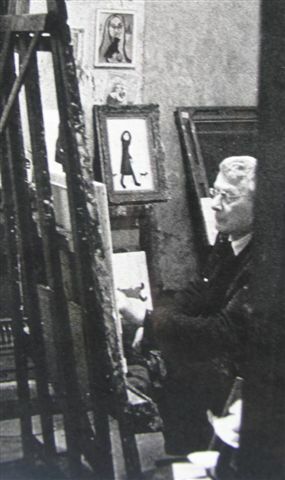 Jim Isherwood was as pleased as punch when he discovered that one of his oil paintings – Minnie Small with Black Cat – had been bought by the Lancashire Master, and it appeared on the wall in a wide angle photo of Lowry’s “workroom” in Mottram-in-Longdendale. When Isherwood met Lowry, the match-stick man painter was already famous. The Wigan artist was struggling for recognition. Perhaps he thought some of Lowry’s fame would rub off on him. Despite the hero-worship, Isherwood would never have lowered himself to copy the work of L S Lowry. He already had a style of his own. It was true, he, like Lowry, painted Lancashire. But in a different style. It would be invidious to compare the two, but some have said that whilst Lowry’s work “has little heart” Isherwood’s is full of energy and emotional energy. 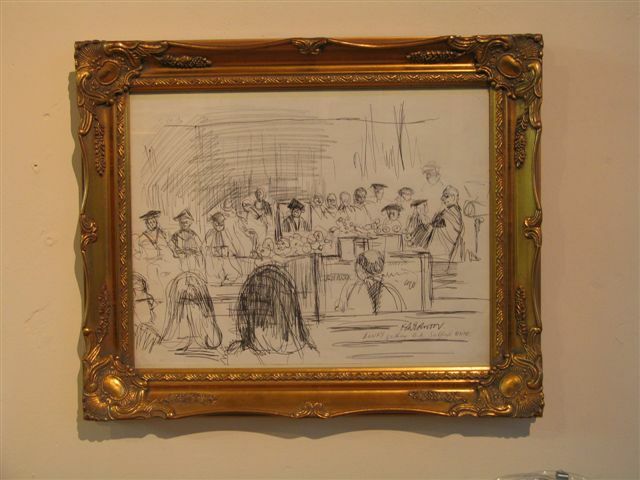 Isherwood was there at Salford University the day when Lowry received his BA. 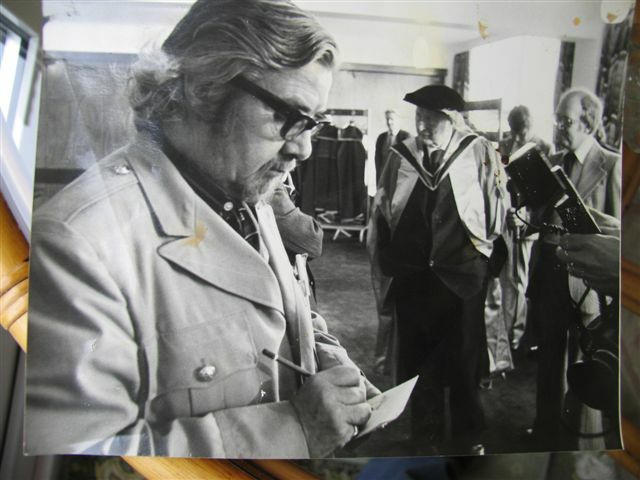 The photo shows him making a pencil sketch of his hero, and in his lifetime, the Wigan painter was to capture Lowry’s image many times in oil, watercolour, pencil and ink. 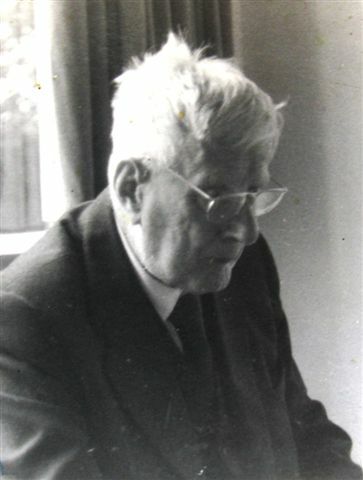 Bill Grundy, the famous TV broadcaster, said Isherwood was Lowry’s true heir.